Designed to decrease fluid retention & bloating. Designed to provide the body with a mild system cleanse. Only Simply Skinny® LUXE will do ! Simply Skinny® Luxe is an advanced, effective blend of premium high quality ingredients specifically designed for magnified visible weight loss. Experience what it’s like to have your body totally reshaped even without diet and exercise! With Simply Skinny® Luxe you will no longer struggle with cravings and In addition to the heightened metabolism it causes, you’ll have the energy you need to keep going throughout the day without feeling down. All while achieving the calorie burn that helps you finally slim down. 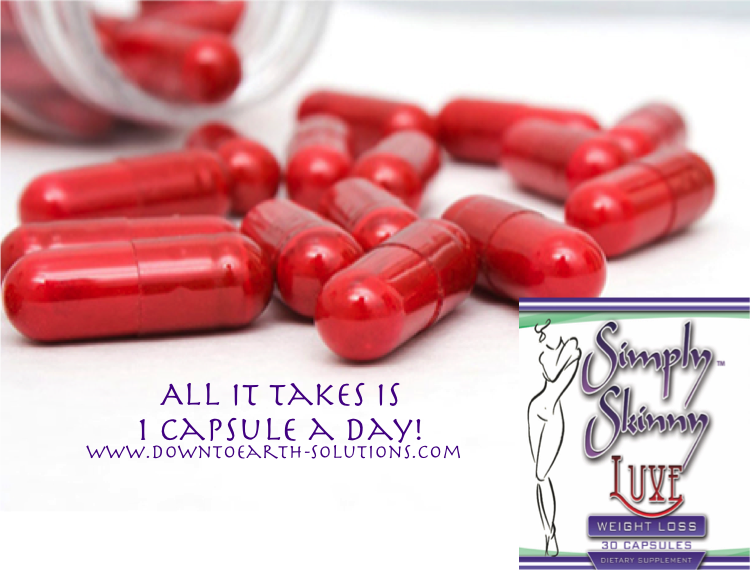 ​With Simply Skinny® Luxe, All it takes is just one capsule daily to melt the fat away and reveal the best side of you leaving you looking and feeling LUXURIOUS! Losing weight is not the only benefit users of Simply Skinny® Luxe will experience. This supplement also assists in hair and nail growth, helps fight blemishes, and maintains skin elasticity. The result is a vibrant, healthy, beautiful you. What are you waiting for? ​As a dietary supplement, take 1 capsule daily in the morning prior to the first meal along with 8oz of water. Do not exceed more than 1 capsule daily. * This is a potent, highly advanced product. We recommend starting out with one of our other Simply Skinny® products before purchasing Simply Skinny® Luxe.